If there’s one thing I know, it’s that I love wine. Love might be an understatement. Depending on the day, I’m partial to either red, white, rose, sangria…the list goes on and on. If you love to unwind with a glass at the end of the day or enjoy picking out new, reasonably priced bottles from the grocery store, AllFreeCopycatRecipes.com has the perfect giveaway for you. Don’t miss your chance to win The Wine Tasting Party Kit from Chronicle Books, a party game tailor-made for classy and sassy foodies like yourself. If you consider yourself a party animal, a connoisseur or somewhere in between, enter to win this fantastic giveaway. It’s a prize package that’s all about friends, fun and wine; what more could you ask for? While wine is wonderful, it’s best paired with some delicious cheese. Below are some of my top picks for easy, cheesy recipes that will pair quite marvelously with your favorite vino of choice. 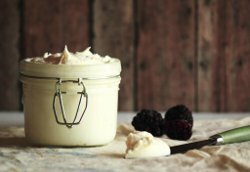 $2 Mascarpone Cheese – For all the copycat home bakers out there…this recipe will teach you how to make your own tub of Homemade Mascarpone for just two dollars. It’s a great spread for crackers. Cheesy crackers + wine = sublime snacking, don’t you think? 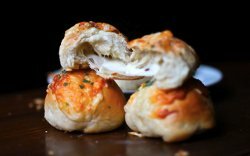 Hunger Games – Inspired Cheesy Rolls – May the odds be ever in your favor with this insanely delicious easy dinner roll recipe. For all you Peeta fans, “Hunger Games” Inspired Cheesy Rolls were created in his honor. It’s the perfect conversation starter at any (Wine Tasting) party. 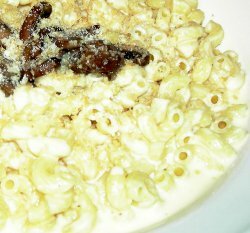 Homemade Noodles and Company Truffle Mac – Dress up your plain ol’ creamy, cheesy macaroni and cheese with this Homemade Noodles and Company Truffle Mac recipe! Wine in one hand, forkful of Truffle Mac in the other, you’ll be the very picture of yummy sophistication. Still hankering for easy, cheesy recipes? Be sure to check out AllFreeCopycatRecipes.com for more cheese-tastic recipes and much more.